WATERinMOTION® Platinum Wautoship grants you immediate access to the latest wave kit release. The sign-up fee grants you immediate access. You are then automatically enrolled in the latest training materials every 3 months and will not be billed until the next release. Release dates are as follows: March 1, June 1, September 1 and December 1. We currently accept ONLY Visa or MasterCard payment options at this time. 1. Each kit includes the latest video, music, choreography notes, flash cards, quick reference sheets, and education. 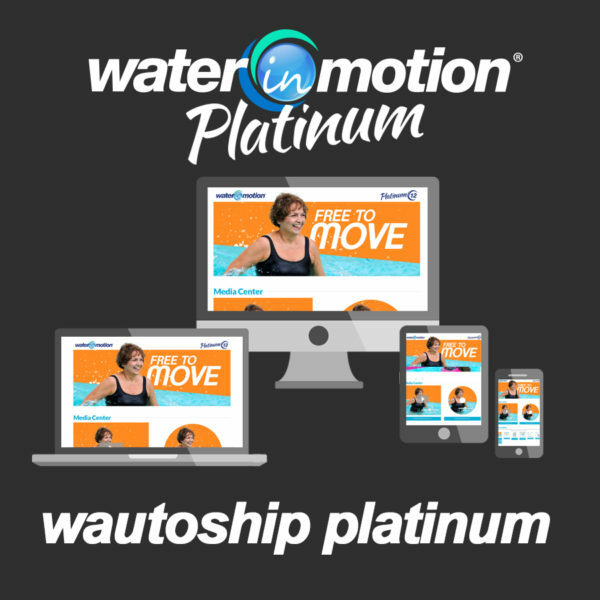 Only WATERinMOTION® Platinum certified instructors who teach at licensed WATERinMOTION® Platinum clubs and facilities may purchase WATERinMOTION® Platinum kits. Each and every individual must sign up for Wautoship at the WATERinMOTION® certification. Once enrolled, the instructor will automatically receive the latest WATERinMOTION® Platinum kit each quarter (every 3 months).